Welcome to Generating Hope’s major project, Noah’s Ark, providing the only emergency overnight shelter and multi-service drop-in center for chronic homeless and individuals/families at risk on the Yakama Indian Reservation and in Yakima’s lower valley. Our shelter and service center gives people a Beacon of Light where before they found only darkness. ​Our shelter is located in the rural community of Wapato, Washington -- about 18 miles south of supportive community-based services located in the city of Yakima. Noah's Ark offers year-round non-judgmental assistance to homeless, many addicted to drugs and alcohol, and impoverished people who otherwise would have nowhere else to turn because they lack transportation to reach Yakima. 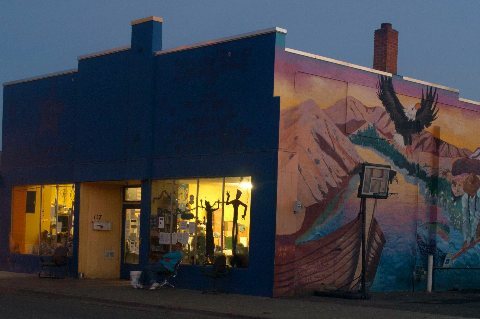 In one of the poorest regions in the State of Washington, our Ark has provided a sanctuary for ten years dedicated to a sense of dignity and offering hope with services that include a clothing bank, a central location where collaborative community partners can travel to Wapato, clients are served 3 warm meals per day through Project Meal Time and, when needed, emergency overnight shelter for men and women. We must operate not only during the cold weather months, but throughout the year, offering shelter from the heat of summer, where dehydration can be as much a threat as the freezing cold of winter weather. We support all spirituality – as a foundation for recognizing diversity and instilling caring for one another. 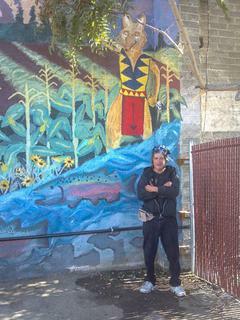 Our painted mural is the combined work of homeless artisans and community efforts. You can see the story of our mural project, reflecting the spiritual impact of our efforts and the creative synergy of working together. 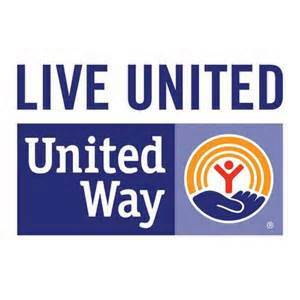 In 2012, United Way of Central Washington honored Generating Hope’s commitment to homeless and impoverished with a Community Impact Award. Our goal remains to provide a place of solace and sanctuary: offering nourishment to the soul, body, and mind -- recognizing the dignity of people and their need of community -- dedicated to meeting basic human needs and a path back to their families and communities. Noah's Ark respects the cultural diversity throughout the region -- as shown in our mural designed and painted by many of our clients. Many images on our mural illustrate the presence of the Yakama Nation in the Yakima Valley. The pictured client/artist designed many symbols part of that culture which is respected and honored by Generating Hope. The mural emphasizes the compassion and understanding provided to all disadvantaged -- establishing a sanctuary where they gain a sense of self-worth, hope, dignity, and a brighter future. You set records in attendance and fund support this year making this year's eighth annual event the best ever and that our doors will remain open. The event raised funds totaling some $10,000.00 supporting Noah’s Ark homeless shelter and drop-in service center operations and meals. Generating Hope deeply appreciates the Knights and their understanding and compassion to homeless and disadvantaged throughout the lower Yakima valley. It is critical to keep Noah’s Ark open past the emergency weather conditions of winter. Although the weather is warming, Noah’s Ark’s 30-bed overnight shelter is at capacity and long lines continue to form for meals served from its commercial kitchen. Unlike Emergency Weather shelters, Noah’s Ark year-around operations allow collaborating both with Yakima and Yakama nation services which make it critical for Noah's Ark services to remain available. We need your help to continue to provide these services. Please make that difference in these lives. It can be as easy as clicking now on our Donation Button. Please make a paypal donation: Make a Difference in a Life!